With state-of-the-art computer-controlled spreader trucks, Graniterock can meet all of our customers’ new construction or maintenance needs. Professional drivers in clean, well-maintained equipment will service your job site needs and deliver on-time. Our goal is to be on-time, or up to ten minutes early on each delivery. • Asphalt Emulsions: For Tack Coats, Prime Coats, Chip Seals, CTB Curing Seals, Fog Seals, and Caltrans Section 39 Slurry Seals. 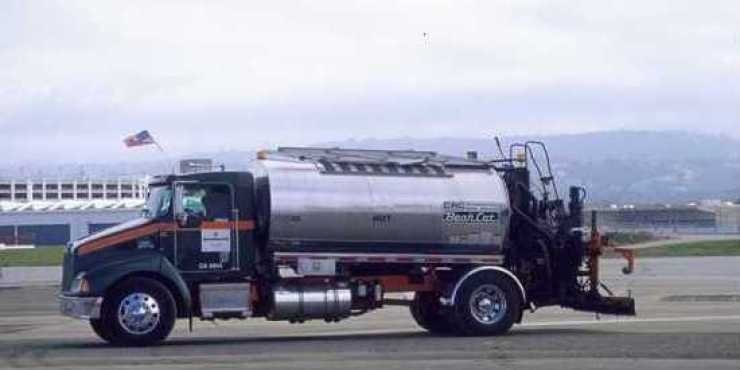 • Distributor Truck Fleet: Oil Spreader Trucks dispatched to your job site. • SC-70 Road Oil: For Prime Coats and Penetration Treatments.